WARNING: The first part of this post is about my decision to leave my job for an indefinite period of travel, what it was like to give notice and to pack up and leave, and some rumination on life. If this interests you, please continue. If not, you might want to skip to the lower section or the posts more directly covering the geographic journey. I loved my life in LA and had fought hard for an extremely coveted job at a wonderful buy-side shop in Santa Monica. Resolving to leave all this was terribly difficult. But the more I thought about it, the less afraid I became of the downside risk. And the more afraid I became of living with major regret if Jenni and I did not seize the opportunity to travel the world sans kids and mortgage. Besides, a certain level of risk ought to be welcomed. I do not believe life is a perfectly efficient market, but there is undoubtedly correlation between risk and reward. Once my mind was made, I dreaded the necessary conversation with my colleagues. I feared I was letting them down, and that they would hurl barbs of guilt and accusations of madness. If any felt this way, they hid it well. I could not have been more pleasantly surprised by how supportive and understanding they were. To be sure, this is a reflection of the good nature, warmth and professionalism of my colleagues. I think it is also because others tend to respect those who demonstrate courage and conviction. Reactions to the news in general were overwhelmingly positive. “Congratulations” may have been the most common refrain. I was nervous (and sad) about telling the student I mentored that we would have to end our formal relationship, but even he (at 15 years old) demonstrated such maturity and compassion in his reaction. He pretty much said “well, that sounds like a great opportunity and I’d probably do the same thing if I were you.” A few evoked Verbal Kint when Special Agent Kujan asks “who’s Keyser Soze.” Oh #$*&, now I have to confront the possibility that maybe I could do this. Many said they were envious and wished they had done something like this or could do something like this. If you are reading this, I will wager that you are not dodging bullets in war-torn Congo and desperately wondering where you will find bread for sustenance. And if I am correct, then it is probable that your life decisions (from the mundane to the complex) are really about priorities. Perhaps you are pregnant or must care for a loved one who is not well, but most likely you could drastically change your life and start traveling soon if not this moment. Which is not to say that you should do so. I find it challenging yet rewarding often to ask myself the difficult questions in life rather than passively accepting the status quo. Instead of saying “I wish I did that” or “I would love to but just can’t do that,” you might consider switching the phraseology to “I could do that, and/but…” You will thus free your mind to assess the relative weight of your priorities in life. This exercise may be difficult in part because the side of the scale representing benefits of drastic change may have fewer objects readily visible. And it is often difficult to determine the weight of the object without holding it in your hand, so to speak. How do I measure the positive “weight” of traveling the world when I’ve never done it? It seems far simpler to comprehend the negative “weight” of those thousand details that have to be sorted out when uprooting your life and, of course, the supremely scary notion of giving up a paid occupation. All I can say is: make your decisions consciously and faithfully, then rejoice; when you are honest with yourself, you cannot be wrong. I want to reiterate that this is a very personal decision and one size does not fit all. I find some of the full-time travel writers more than a little patronizing when they suggest theirs is clearly the right path to choose. I merely want to impart that if you really want to make a big change in your life, you probably can. And if you care about the reactions of your closest family, friends and colleagues, which would be perfectly normal, those reactions may be more positive than you think. Make no mistake, drastic change is not easy. The path of least resistance is usually the easiest. As with most significant undertakings, the effort is front-loaded and the reward comes after. Think of this like physics. It takes a tremendous amount of energy to stop a moving train and start it going in the other direction. I won’t bore you with all the details of becoming voluntarily homeless, though there are probably more than you would imagine at first. But once done, this new direction becomes the path of least resistance. 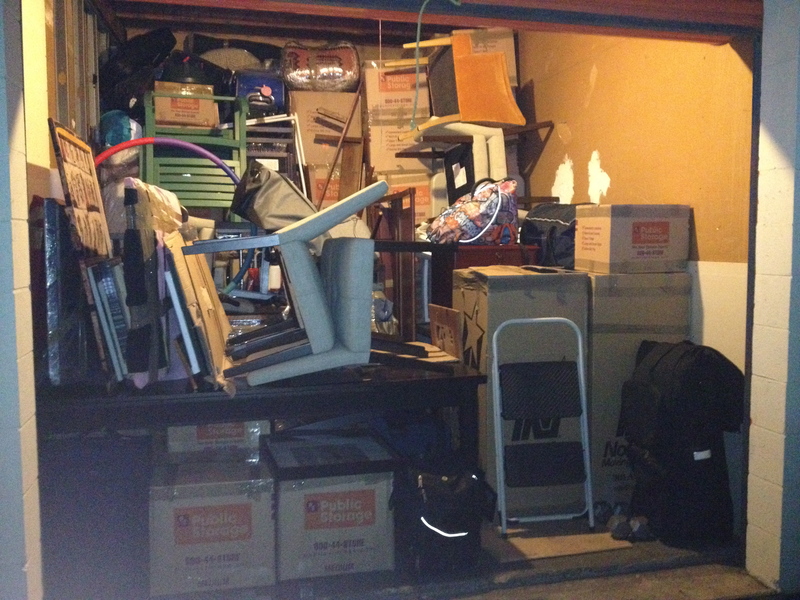 This is why we decided to give up an apartment we loved, sell some possessions and put the rest in storage. This was by far the hardest moving experience of my life. It is much more difficult to figure out what to keep, what to dispose of, what we might need access to, etc., than it is just to throw everything into boxes and move it to a place where it will be unpacked promptly. On the back-end, though, there is no abode to decorate or cable service to set up. Having already undertaken the effort to scale down and become rather nomadic, the presumption is now in favor of continuing to travel. I began to notice some changes in my life even before we left LA. Brace yourselves…I took the bus a few times! It may seem ridiculous to those outside LA that this is worthy of comment, but most people I know in LA have literally never once ridden public transportation (in LA). The immediate opportunity to spend more time with family was both fortuitous and related to this decision. We probably would have seen Mia and Matty at the Phish show at the Hollywood Bowl anyway, but definitely would not have hung out with them and their delightful friends til the wee hours at Cantor’s on a Monday. When Sam and Kaitlyn were in town a couple of days later, I was able to spend more time with them, and likewise my cousin Jonathan a few days after that. Not much beats quality time with family. Adventure awaits us, and I am excited to see what the world has in store! Slimming down included selling one of our two cars. Since Jenni’s car is newer and more spacious for a road trip, gets far better gas mileage and is still under warranty, that meant saying goodbye to Seymour (my Audi S4 convertible, and first true love in California). It was an emotional event; I truly feel that Seymour was inextricably linked with my identity and joy upon arrival in LA eight years ago. Classic LA stuff, I know. I spoke with a couple Audi dealers who would not even make a bid and then a local used car business that bid me much less than I wanted. CarMax handily beat that price, and I have nothing but good things to say about the experience. You may be able to get a little more if you cut out the middleman, but that entails locating a buyer, ensuring payment clears, dealing with title transfer, possibly risking liability, etc. If you want a reasonable bid and stress-free solution, check out CarMax. Like most Americans, our health insurance was provided by our employers. We have not yet selected a replacement since COBRA effectively offers a 60-day free option (you can enroll retroactively). Based on our research to date, we expect to go with International Medical Group. I will likely provide more details in a later post. Oatmeal for breakfast, PB&J sandwiches and simple grilled protein help save money and allow for some higher-end meals in foodie locales. 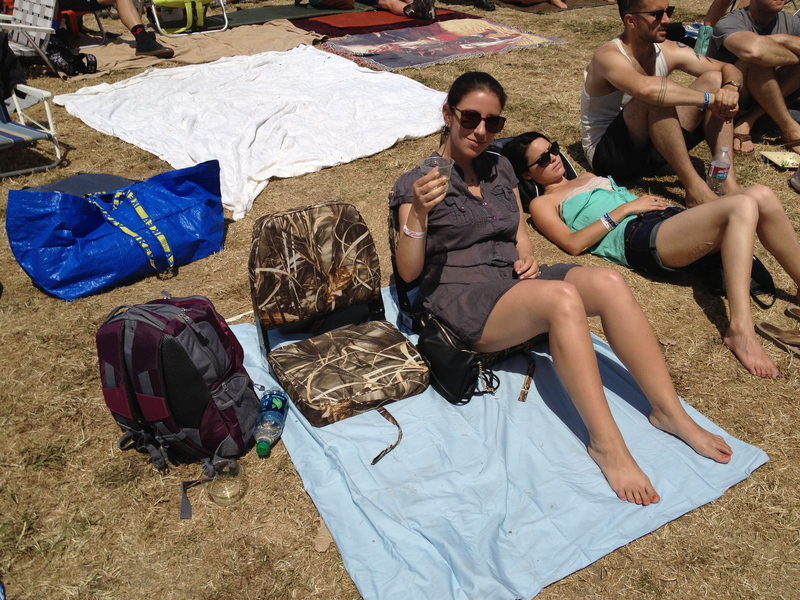 Camo folding boat seats from Wal-Mart…seriously. We bought these in Napa for Bottlerock thinking we would just throw them out after the festival, but they have become our new favorite purchase. They are easy to transport and, unlike a typical folding chair, can turn a picnic table bench into a comfortable dining seat. A fantastic resource for traveling and life in general is downloading eBooks from your local library. I do not know which public libraries offer this service, but I know Santa Monica and LA do, and it is amazing. If you are a resident, typically you can join for free and download free software and then check out books to read on your computer, iPad, smart phone etc…for free, anywhere in the world you have an internet connection. This entry was posted in General, Uncategorized and tagged quitting job, world travel on August 28, 2013 by aleavitt77.